UNION CITY, N.J. – Shawn Choi embraced the vibrant urban environment he received in a rental home in downtown Jersey City. 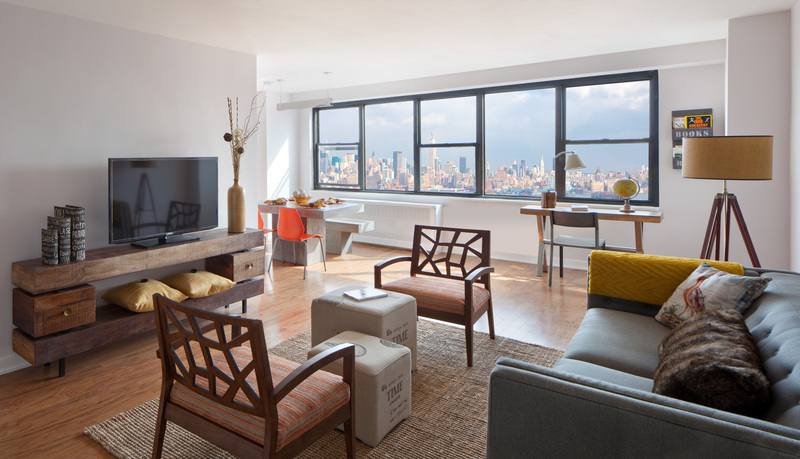 And while City living within close proximity to Manhattan was ideal, Mr. Choi and his wife were preparing to welcome their first child knew they needed a larger home to start a family. The Choi’s set out to find a new home that offered many of the same attributes as their Jersey City apartment – maintenance-free atmosphere, ease of commute into New York City and an abundance of restaurants, conveniences and services nearby — but could also accommodate their growing family. They started their search by visiting Bergen County condominium communities in Ft. Lee and Englewood, but found they were slightly too far from midtown Manhattan. 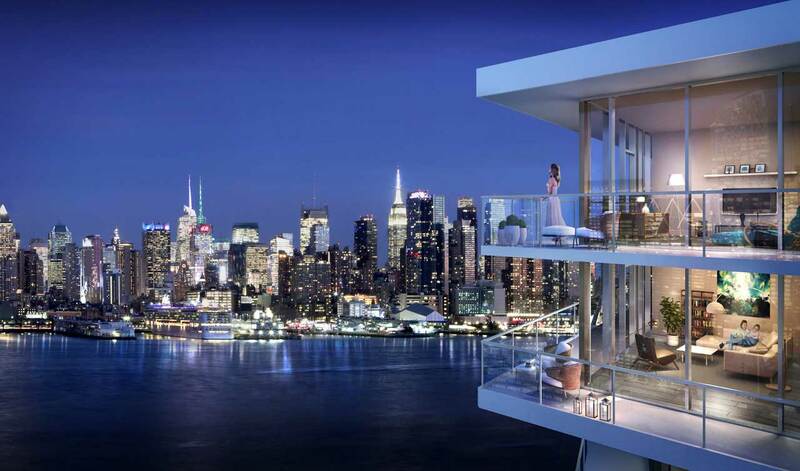 The couple turned their attention back to Hudson County where they would find their new upscale urban home just three miles from the Lincoln Tunnel and Port Authority Bus Terminal at The Lenox, a luxury condominium building located at 500 Central Avenue in Union City. The Choi’s purchased a spacious two-bedroom condominium home at The Lenox for over $300,000. The Choi family is just one of many first-time homebuyers who have chosen The Lenox for its desirable blend of luxury living spaces, downtown City environment, closeness to Manhattan and attractive prices starting from just $179,000. The 16-story high-rise building being developed by Sun Equity Partners is situated in a dynamic neighborhood full of nightlife, restaurants and shops and near major mass transportation options. “The revitalization of Cities such as Hoboken and Jersey City has created an escalating housing market that’s pushing homebuyers west,” says Kelly Marzullo, Director of Marketing for The Lenox. “Union City, which is undergoing a similar rebirth with brand name retail outlets joining ethnic and family owned businesses to create a diverse urban lifestyle, has increasingly become a popular destination for single professionals, young couples and families. 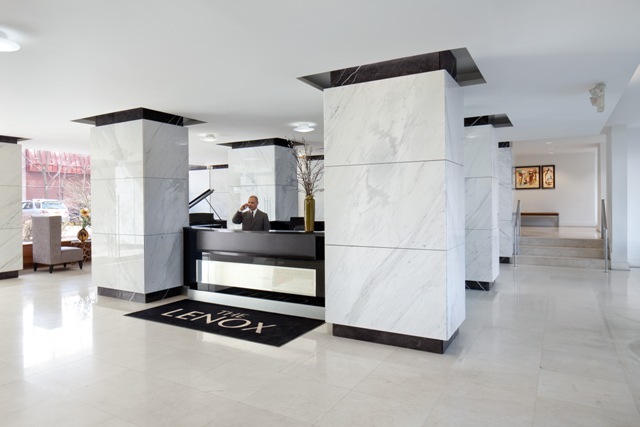 Sun Equity Partners released the newly-renovated condominiums and state-of-the-art amenities at The Lenox last summer. High interest and demand has resulted in more than 50% of the homes sold. Available for immediate occupancy, the studios, one- and two-bedroom residences range in size from 535 to 1,089 square feet of living space. Designer finishes found throughout the homes include hardwood floors, kitchens with stainless steel GE appliances, custom white gloss kitchen cabinetry and quartz countertops with marble backsplashes; and spa-like bathrooms with imported tile walls and floors and Moen shower fixtures. The Lenox’s ultra-convenient location close to mass transportation and major thoroughfares, providing easy access to not only New York City, but also New Jersey’s Hudson River ‘Gold Coast’ and Bergen, Essex and Passaic Counties. “The building is also one block away from NJ Transit Bus Stop with direct service into New York, and the Hudson-Bergen Light Rail is a 15-minute walk away at Hoboken’s 8th and Jackson Streets platform,” Ms. Marzullo points out. What’s next for the Gold Coast?